What do you remember about your school field trips? For some of us, they may have been interesting visits to a fire station, the local zoo or even an ice cream factory. Others may have less fond memories of their school outings – rain-soaked trips down to a muddy riverbank to observe newts are hardly the stuff that great memories are made of! At Motive Travel, we understand the importance of putting together a great field trip for your pupils. We’re big believers in the old adage ‘children are our future’ and that the mind of a child is one that can hugely benefit from seeing a little more of our country – or even further afield! 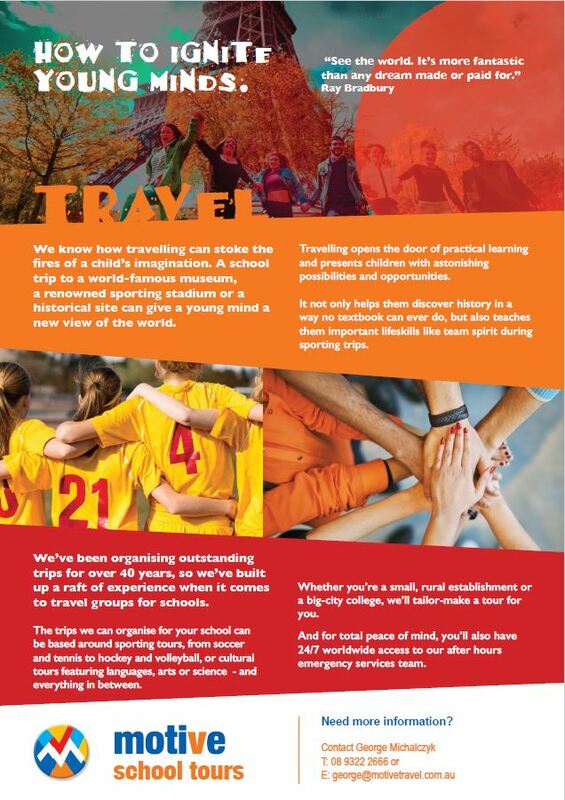 A school trip to a world-famous museum, a renowned sporting stadium and a whole range of other interesting places can really stoke the fires of their imagination, which is why Motive Travel are fully committed to providing outstanding school group tours to just about anywhere. When you take your school’s pupils on a really interesting, thought-provoking and immersive field trip, you’ll be giving them an experience that will stay with them for a very long time. According to the Student Travel Planning Guide, students that are regularly present on field trips, especially to new and exciting places that they have never been before, will be all the better for it. They’ll learn more about the arts, learn how to think critically about all manner of different subjects and discover history in a way that no old, well-thumbed textbook could ever teach. How can Motive Travel help your school? Motive Travel has been organising outstanding travel trips for the best part of 40 years. Whether we’re taking groups of football enthusiasts across to the AFL Grand Final or staying a little closer to home at the Leeuwin Estate Concert, we’ve built up a raft of experience when it comes to travel groups – and schools are no exception. Whether your place of learning is a small, rural establishment or a big-city college, we at Motive Travel can accommodate your every need. We specialise in sporting and cultural trips but we can transport you and your pupils practically anywhere, and can often arrange a discount for larger groups. Whatever your needs, be sure to get in touch with Motive Travel to find out what we can do for you. Below is a list of contacts who will be happy to discuss your school trip plans – we look forward to hearing from you! Click here for our school group tour information flyer and a sample tour flyer – we can tailor make flyers for every school group tour we do, complete with your school logo, your own pictures and your own unique information and requirements. We’ll do all we can to make your students’ travel experience a truly special one!